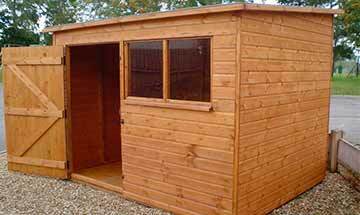 Garden offices, garden studios, and other timber garden room buildings have rapidly become a popular trend within house and property enhancements. The straight forward reason is that it is very pleasant to have a garden office or outbuildings intentionally positioned in an attractive outdoor environment. Garden offices are generally beneficial and charming. They are able to synthesize the concept of peace and will enable an excellent working environment. 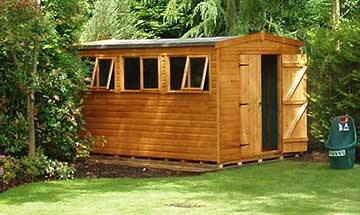 To ensure that a standard working environment can function, a timber garden office needs to be thoroughly insulated and wired up. It's vital to have the ability to leave home pressures behind which is often effortlessly carried out when working outside the house. Lower your expenses and save yourself the hassle of needing to move by acquiring a wooden garden office which is often constructed with minimum interruption. Timber garden rooms can encourage a relaxed lifestyle, add value to your home, and become a feature which attracts buyers when its time to sell. In the meantime you're free to use the structure to its full potential; guest room, additional study, hobby room, art studio, man cave or teen den, the choice is entirely yours. More and more home workers are choosing a dedicated work space in their garden to lessen the hassle of the daily drive to work and back. 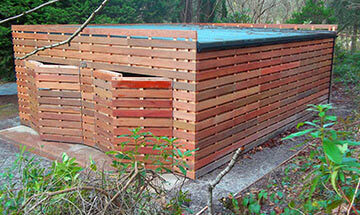 Wooden garden offices are specially designed as a place to work from a person's garden. Timber built garden offices are continuing to grow in popularity because the style of building available is considerable, with custom built garden offices a definite reality at very little extra cost.